Razer has announced a new version of their MMO gaming mouse that looks almost exactly like the old one. The new Naga features mechanical switches for the 12 thumb keys. It also includes a wider grip for more comfort, which helps fix the issue of the previous version being a little too thin for the thickness. More buttons are added by allowing the mousewheel to click left and right. Improvements abound, mostly for those who enjoy gaming with just the mouse. 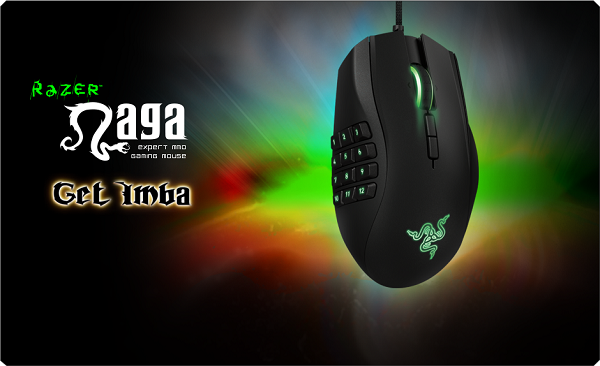 The most important bit of news is that Razer is also making a left handed version of the new Naga. As a left handed gamer this is the best news ever. Particularly since there is a lack of support for lefties in all aspects of human life. Apparently this model is being released at an expected fiscal loss.